Did Park Shin Hye Undergo Plastic Surgery? Here Are Her Possible Before-and-After Plastic Surgery Photos! Park Shin-hye (Hangul: 박신혜) is a South Korean actress and singer. She was born on February 18, 1990. She gained recognition for starring in melodramas Stairway to Heaven (2003) and Tree of Heaven (2006). 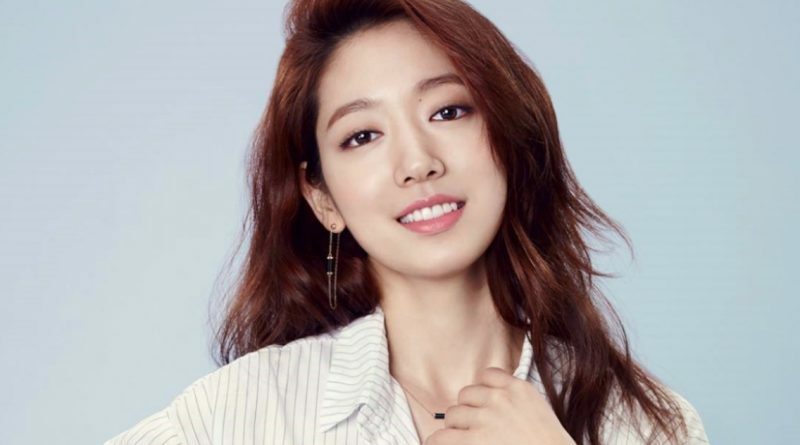 She also received further recognition for her roles in the television dramas The Heirs (2013), Doctors (2016), and Memories of the Alhambra (2018–2019). 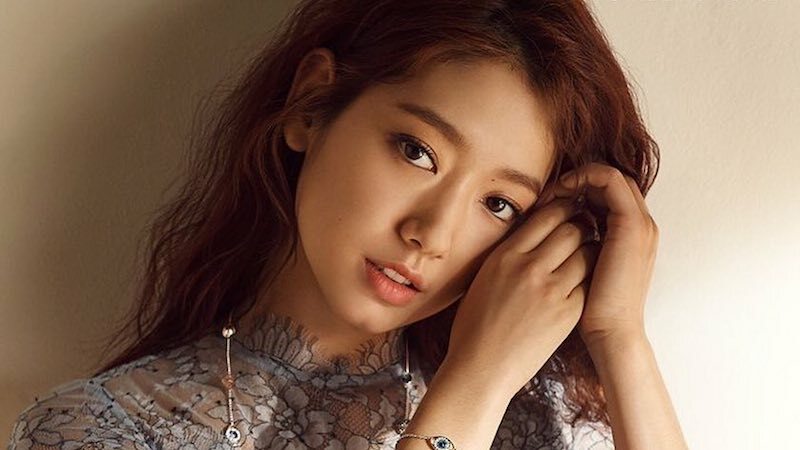 In 2015, Park Shin-hye ranked 33rd on Forbes Korea Power Celebrity list and 12th in 2017. Did Park Shin Hye Undergo Plastic Surgery? It’s a common situation for Korean actresses to have plastic surgery to improve their appearances. Actress Park Shin-hye is known for her innocent and natural look. Since her debut as a child actress and throughout her career, her appearance helped boost her popularity, and many people assumed that she had cosmetic surgery based on her transformation. There were rumors that the actress had work done to her jaw bone and nose. Let’s take a look at Park Shin-hye’s transformation over time and you decide! Let’s check out some photos below to see what kind of changes have occurred to the actress’s look! In 2003, Park Shin-hye began her acting career. She was born with double eyelids. Her jawline appears to be fairly wide, but it could be the baby fat on her cheeks occupying those areas. She also had a small mouth. In 2011, it seemed like Park Shin-hye gained weight. Her face looked much fuller. In another appearance a year later, her bust size looked bigger. Many people assumed it was the effect of a push-up dress, but maybe the actress just did a breast augmentation? What do you think? 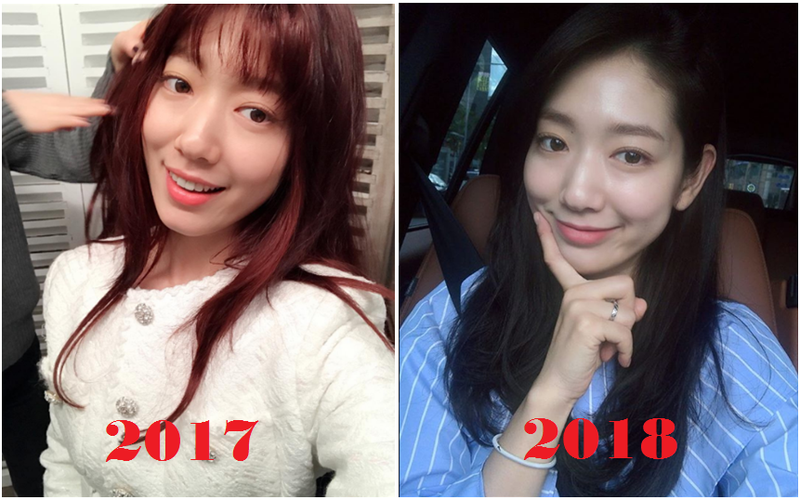 In 2013, Park Shin-hye attended another drama awards show, and there wasn’t any large change to her appearance, although she seemed to have lost weight and her face appeared slimmer. Also, her nose bridge appears to have been altered which gave her overall nose shape a much smoother appearance. Park Shin-hye has a little chin dimple. It seems like she can easily gain weight, but she still looks gorgeous, though. There weren’t any changes at all, and it seems she looks more beautiful each time. Many people assume she has a skin care routine to keep her looking so beautiful. 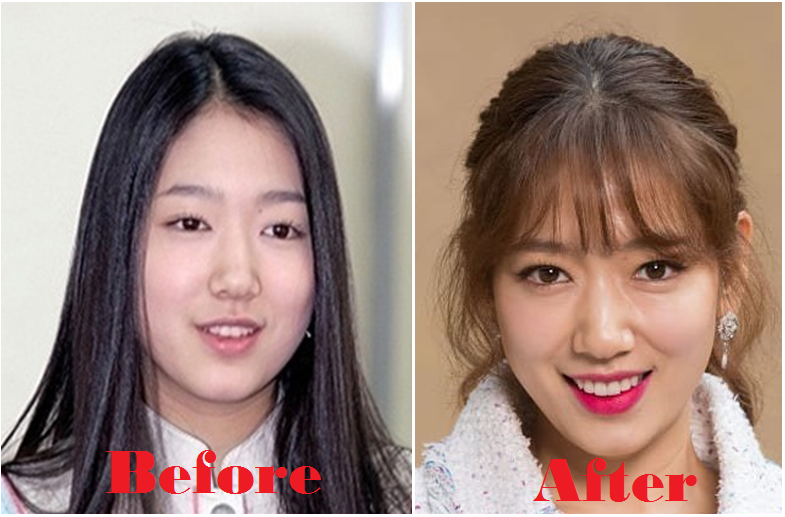 There were rumors that Park Shin-hye underwent plastic surgery to remove her dimpled chin. The pictures prove that she didn’t have the surgery. It’s clearly visible that she still has her dimpled chin in the latest photo shoot she did for Vogue Magazine in 2017. There was also a rumor about Park Shin-hye getting a nose job. 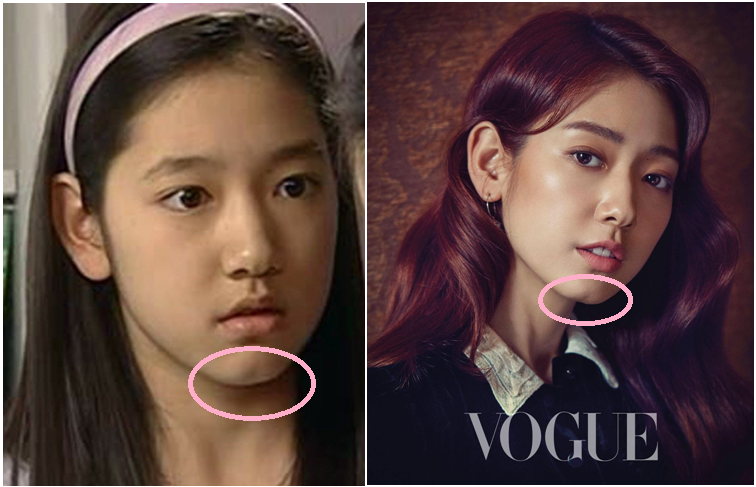 It is known that as a child, Park Shin-hye’s nose had a high bridge and was wide and round. It’s a normal shape for her facial structure, so it’s obvious that the actress didn’t have any surgery on her nose, either.